This three bedroom plus den, three full bath pool home is warm, inviting, super clean and move-in ready. Situated on a quiet, tree-lined, cul-de-sac street, it features volume ceilings, crown molding, French doors, mostly tile and hardwood flooring in addition to being newer than most homes in the neighborhood. Split bedroom floor plan. The private master suite features a tray ceiling, two walk-in closets and a gas fireplace. The generous master bathroom offers two sinks plus a separate jetted tub and shower. The large eat-in kitchen features a gas stove, island, walk-in pantry and opens to the large family room with second fireplace. The large screened lanai, plumb for a summer kitchen, offers great outdoor space and the third full bath serves as a pool bath. There is also a separate utility room, over-sized side-load two car garage and 500 gallon underground propane tank. 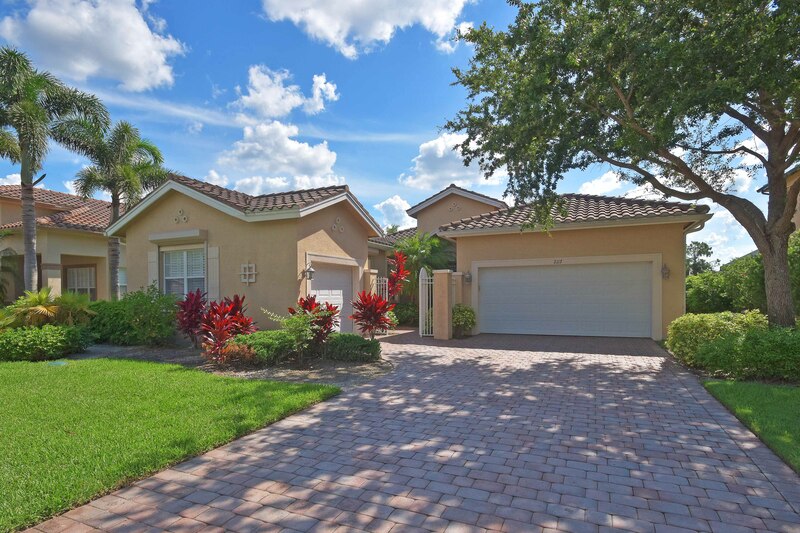 Prime North Naples location close to everything with excellent schools. Gated, well-established community with low HOA fees and nice amenities which include a clubhouse, pool, tennis courts and playground. If you are seeking privacy, comfort and value, this home is sure to please! This extended Capri attached villa is move-in ready and on the lake with SOUTHERN exposure. NEW ROOF AND A/C. Prime location within the community two just streets from the front, guard-gated entrance. Also very close proximity to the town center with two resort-style pools, 6 Har Tru tennis courts, 2 bocce ball courts, well-equipped fitness center, restaurant, full-time activities director, on-site management, library and hair salon. True resort-style living. Split bedroom floor plan. 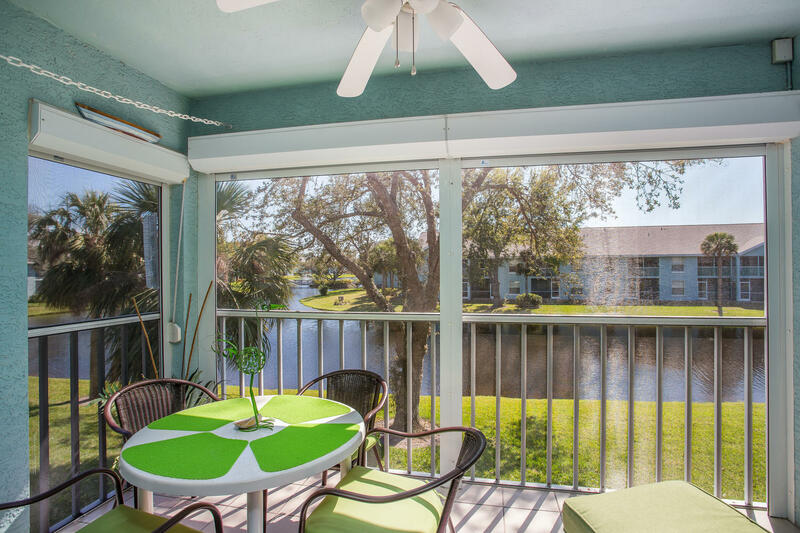 The lanai has glass-sliders and an a/c allowing for additional year-round use. Room for a pool. Also maintenance free. The HOA fee includes lawn care, irrigation, phone, basic cable TV and internet. Divosta is known for their build solid poured concrete block construction. Prime North Naples location close to everything and West of I-75. Also excellent schools. The lovely furnishings are negotiable. Village Walk has been awarded "Community Of The Year" multiple times. Come discover why. Call to arrange your private showing and start enjoying the Florida lifestyle! Port Royal quality in Oakes Estates. Builder's own home with custom everything. A charming front porch welcomes you into this distinctive residence with custom Mahogany entry door, custom Walnut floors, an inviting great room with custom wood-burning stone fireplace and amazing custom gourmet kitchen. The flexible floor plan is perfect for the growing family or those seeking two separate living spaces. Extremely well equipped, this impressive home features a Lutron lighting system, security system, Sonos sound system, Andersen impact windows, automatic whole-house generator and whole-house tankless hot water system. Large 3-car garage too. The back porch, which extends the entire width of the house features a pool bath and overlooks the custom, heated salt-water pool with spa. There's also a full outdoor summer kitchen. Private Western-exposure lot with professionally-manicured landscaping, full sprinkler system, landscape lighting, fenced yard and no road noise. There’s even an Orchid house. 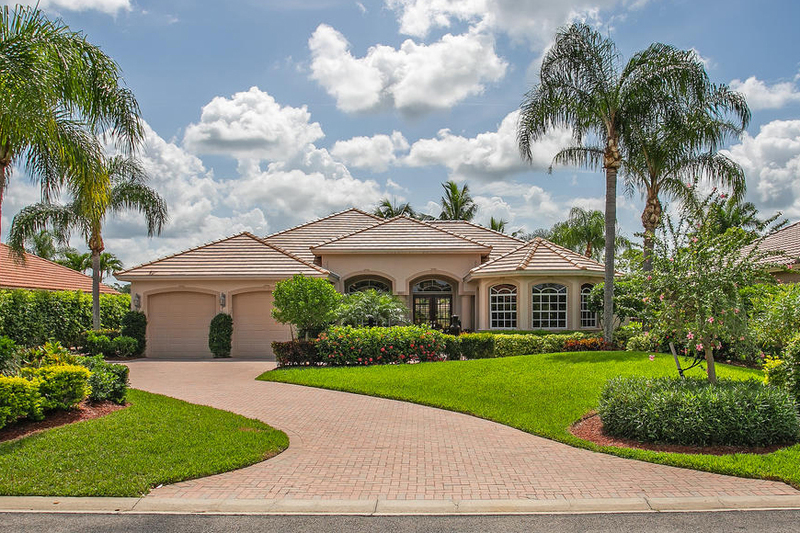 If you are looking for exceptional quality, craftsmanship and value in a prime, highly sought-after close-in North Naples location, please call today to schedule a private tour! This three bedroom plus den pool home is graciously-appointed, elegantly finished and move-in ready. Interior location within the community. Recent updates within the past few years include newer flooring, a/c and hot water heater in addition to an updated kitchen and stylish total bathroom renovations. Most recently, the roof, gutters and downspouts were replaced (July 2018.) Wonderful architectural features throughout and great floor plan with excellent flow. The large kitchen opens to the family room and boasts quartz counter-tops, tile backsplash, double oven, wine cooler, prep island and breakfast bar. Unwind after a long day in the private, spacious master suite with gorgeous master bath. There are two additional bedrooms plus a den. The third bedroom has an en-suite bath which also serves as a pool bath. Separate utility room with sink as well. Wonderful community with low HOA fees of only $200/mo. which includes basic cable, irrigation, tennis courts, community pool, clubhouse with fitness center and guard-gated entrance. 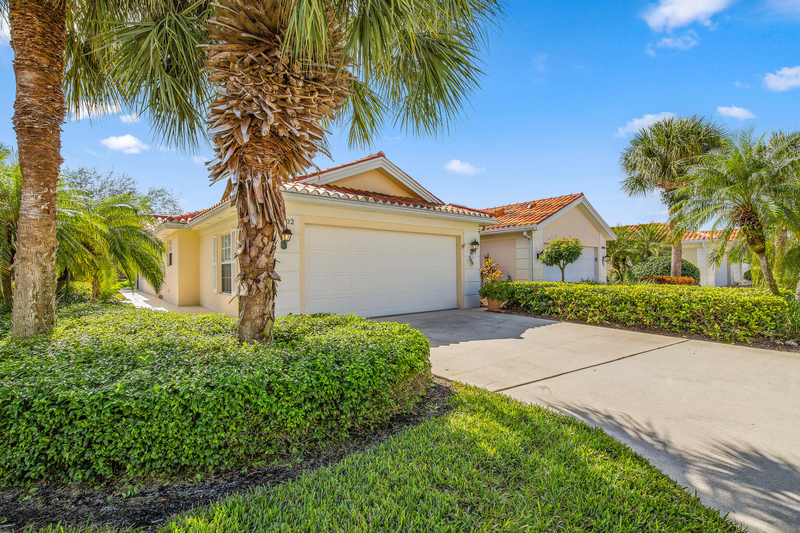 Prime North Naples location close to everything as well as excellent schools. T his is a fabulous opportunity to live in a prime location West of 41 and less than a mile to the beach in a beautiful move-in ready THREE PLUS DEN single family home with no HOA fees and literally walking distance to Whole Foods and Mercato. Volume ceilings and wood plank tile floors grace the main living area. There are also 8 foot doors, recessed lighting, french doors, crown molding throughout and NEWER IMPACT WINDOWS (2017.) In addition to the great room, there is also a wonderful large den/second family room (all permitted) that leads to a charming, brick-pavered screened lanai. The large master suite features a walk-in closet. The the second full bath has a door into the second bedroom. The gorgeous, custom kitchen features granite counters, stainless-steel appliances, tile back splash, 42 inch wood cabinets, self-closing drawers, pull outs, large pantry, oversized double-bowl stainless-steel farmer's sink, large pantry, and a stainless steel center island. Fenced backyard, room for a pool and utility sink in the two-car garage. This home is super clean, very warm and inviting and represents an exceptional value so call today to arrange your private showing! Rarely-available Belmont floor plan. One of only 7 in the neighborhood. 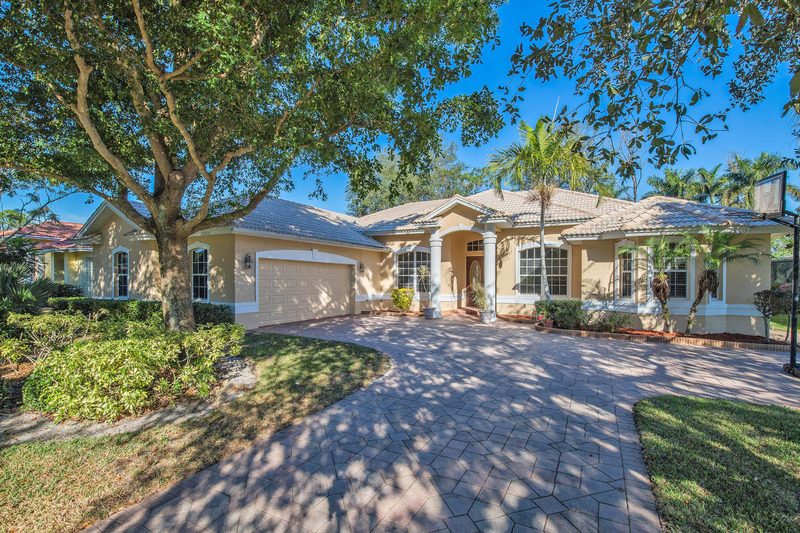 Beautiful 3+den pool home with charming courtyard entry and over 2,700 sq. ft. of a/c living area all on one level. All DIAGONAL TILE FLOORS throughout. The gorgeous kitchen opens to the family room. There's a separate living room and formal dining area as well. The private, spacious, master suite features two big walk-in closets as well as a luxurious master bathroom with two sinks, separate jetted tub and shower. The heated pool with SW exposure has a MOTORIZED POOL COVER. Also GAS GENERATOR, ELECTRIC SHUTTERS on all openings but one, THREE CAR GARAGE, security and intercom systems and plantation shutters. Valencia Country Club is a wonderful guard-gated community with clubhouse, fitness center, resort-style pool and spa plus 18-hole pay as-you-play golf course (under renovation) with pro shop, driving range and patio bar. The low HOA fee includes lawn care, irrigation, basic cable TV plus ADT monitoring. Growing area with excellent schools, newer Publix and CVS currently under construction The lovely furnishings are negotiable. This property is absolutely loaded and a must see so call today! This move-in ready Abruzzi model is light and bright and features high ceilings, all tile and wood flooring throughout (no carpet,) crown molding and plantation shutters. Split bedroom floor plan. Large, private master suite with two closets as well as two sinks plus separate tub and shower in the master bath. Large kitchen with breakfast bar and stainless-steel appliances. The kitchen and both bathrooms have wood cabinets, granite counters as well as new faucets. 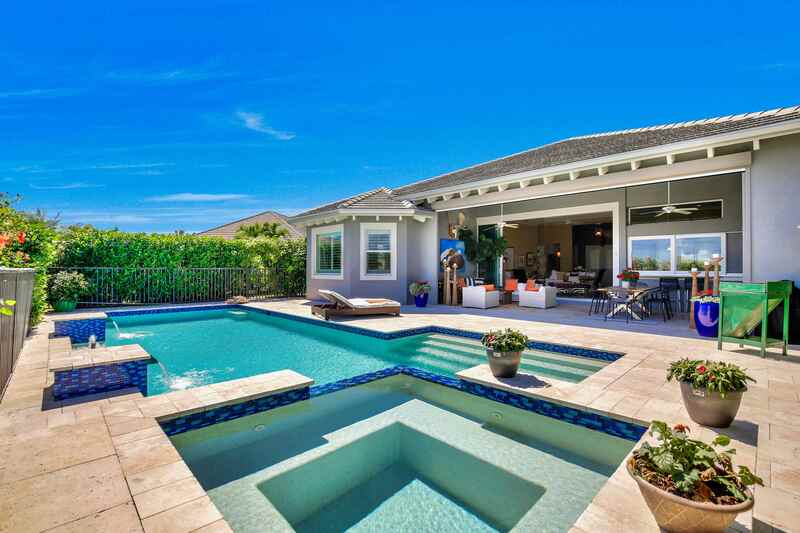 Screened entry and screened lanai with panoramic golf/lake views and Southeast exposure. Separate utility room, security system and Lutron lighting system. The garage has a utility sink and attached shelving for extra storage. Valencia Country Club is a wonderful guard-gated community with clubhouse, fitness center, billiards/cart/meeting rooms, resort-style pool and spa plus 18-hole pay as-you-play golf course (under renovation) with pro shop, driving range and patio bar. The low HOA fee includes lawn care, irrigation, basic cable TV plus ADT monitoring. Growing area with nearby Publix, Charter School, CVS currently under construction and plans approved for a new 150-acre $50M dollar County Park. This cozy two bedroom two full bath ground floor unit has been very well-maintained and ready for your special touches. 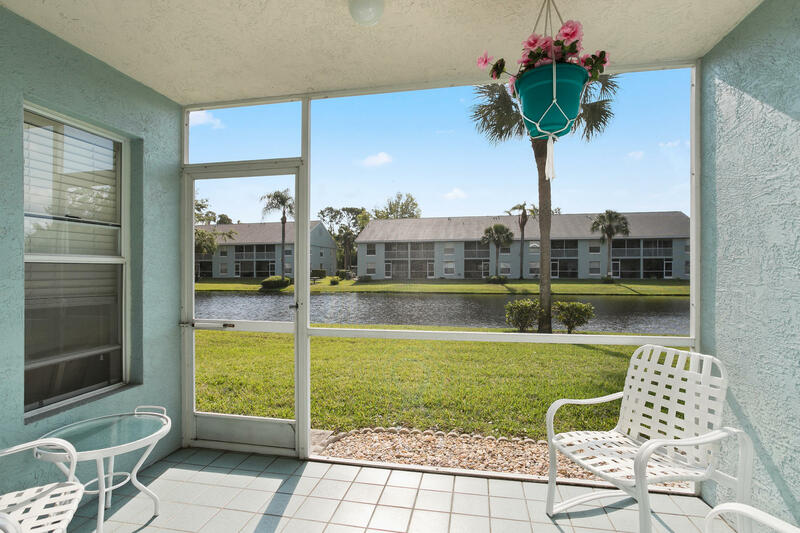 It is light and bright, overlooks the lake with Southeast exposure and is located on a quiet cul-de-sac just steps from the resort-style pool and community room. Split bedroom floor plan. There is an eat-in kitchen as well as breakfast bar and separate dining-living area. There is also a separate utility room as well as a deeded carport space. Well-established, pet-friendly complex with low condo fees, two pools and community room. Not a 55+ complex. The roofs were all replaced February 2018 and the owner has already paid the special assessment. Prime North Naples location surrounded by a variety of shopping, dining, healthcare, entertainment, beaches, golf, parks and more. The furnishings are negotiable. Call today for more information or to arrange a private showing. This beautiful 2+den end unit with panoramic lake views and Southwest exposure is super clean and move-in ready. In addition, it is very warm and inviting and feels like a single family home. 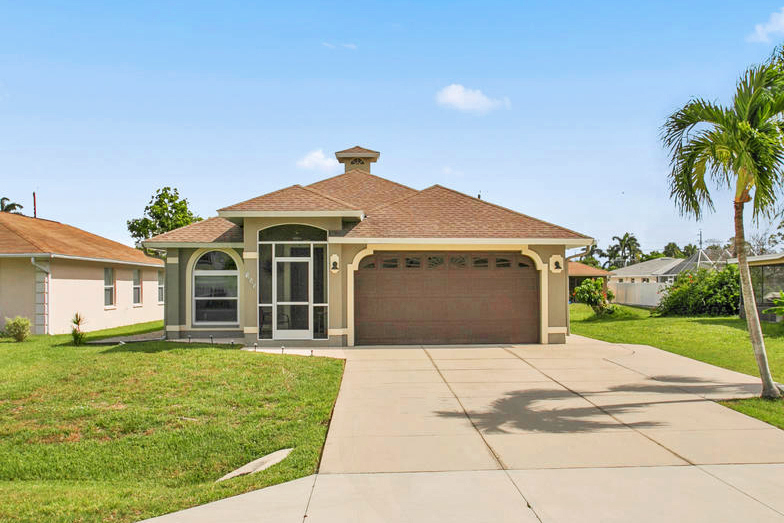 Features include a great room floor plan with vaulted ceilings, split bedrooms, newer appliances, fresh paint, new tile in the kitchen and on the lanai, updated master shower and electric shutters on the lanai. The den could be converted into a third bedroom if need be. Prime North Naples location close to everything and superb location within the complex in the back so away from road noise. Its also just steps to one of two community pools. Piper's Pointe is a very well-maintained complex with new roofs (February 2018) and low condo fees. Also pet friendly and not a 55+ complex. The lovely furnishings are negotiable. Call today to arrange your private showing and take advantage of this special opportunity before its too late! This award-winning Jasmine Grande model is an absolute show stopper. In addition, it could not be duplicated or built new for this price. Situated on a low traffic cul-de-sac street and an over-sized lakefront lot, this stunning residence features every upgrade imaginable. The charming courtyard entry welcomes you into the open concept floor plan featuring wood floors and coffered ceilings. The marble master bathroom features a Jacuzzi tub. The gorgeous kitchen is a chef's delight and features a over-sized quartz island as well as Bosch, Wolf and Subzero appliances. This home takes outdoor entertaining to a whole new level with a fully-equipped outdoor summer kitchen. Relax and decompress by the custom built salt water pool and spa. Hurricane impact windows and sliders as well as a whole house generator and buried 500 gallon propane gas tank. This tropical oasis features custom landscaping, outdoor lighting, fruit trees, arbors and more. 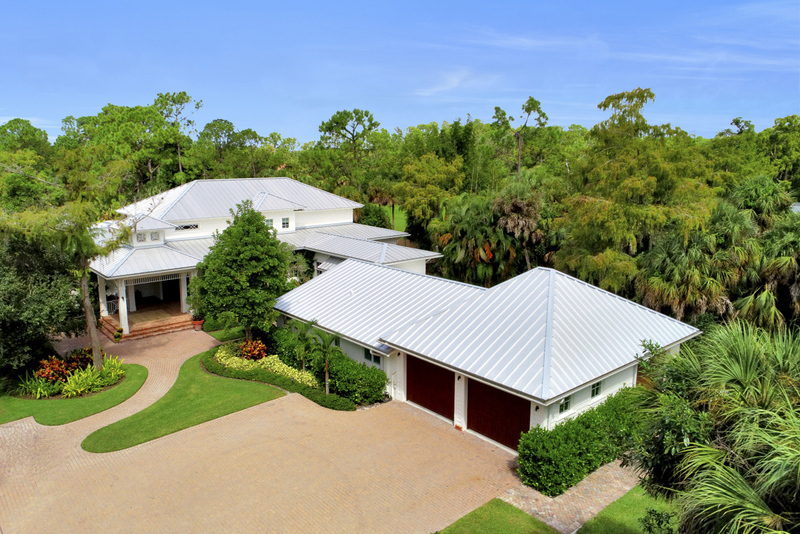 Walk to the state of-the-art clubhouse with wonderful amenities and a waterfront restaurant. Great location just minutes from downtown and the beaches. Come explore this coastal paradise today!